Aerial video and photography can really help elevate your brand, increasing the production value and offering viewers a new perspective. We've directed many shoots from helicopters with gyro-mounted camera systems to capture this kind of footage, but drones are quickly becoming an economical and popular option to capture aerials too. Still, drones bring about their own challenges, especially in the Dallas area. Because of flight patterns at both DFW and Love Field Airports, Dallas is covered by a very large area of Class B airspace, requiring FAA authorization to fly a drone commercially. Previously, that required you fill out an application up to 90 days in advance and submit it to the FAA for approval; not very practical in the fast-paced industry of video production that often requires a lot of flexibility. Drone operators for commercial production should be Part 107 licensed drone pilots. However, LAANC (Low Altitude Authorization and Notification Capability) is changing all that for the better. 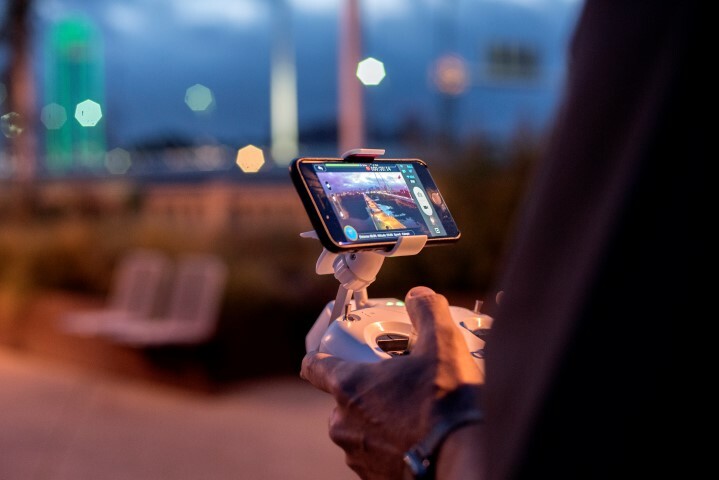 LAANC is an automated system implemented by the FAA and its partners to allow licensed drone pilots near real-time authorization to fly at low altitudes, and it's finally arrived in Dallas! What does that mean for you? It means you no longer have to consider aerial video and photography out of reach for your company or brand! Just make sure the operator is a Part 107 Licensed drone pilot. CM Productions works with some great ones! Want to see firsthand how aerial video can really take things to the next level? Check out the video we created for Phlox Capital Management, which recently won Bronze at the 2018 Tellys! What is it about certain music that makes you feel happy?